In 2018, the University of Manitoba conferred the title of Dean Emerita, Distinguished Professor Emeritus or Professor Emerita/Emeritus upon the following Rady Faculty of Health Sciences faculty members, recognizing their distinguished service to the university through teaching, research and scholarship. 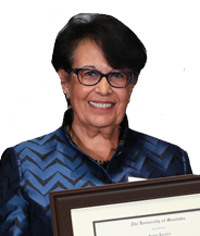 Dr. Samia Barakat was appointed chair of psychiatry at U of M in 1996, making her the first woman in Canada to hold such a position. She was an influential educator who championed psychiatric care. Barakat initiated a community-based crisis response centre for mental health care, which opened in 2013. As inaugural associate dean of professionalism and diversity for what is now the Max Rady College of Medicine, she co-founded a boundary-training program for health professionals that influenced programs throughout North America. Dr. Brian Hasinoff is a researcher with 26 years of service to the College of Pharmacy. In 2001, he was awarded a prestigious Tier I Canada Research Chair in drug development, the first by a Canadian pharmacy academic. The chair was renewed in 2008. Hasinoff’s seminal research on dexrazoxane, a drug used to prevent cardiotoxicity from anticancer drugs, secured his international reputation. He also developed new anticancer drugs. He produced 177 peer-reviewed publications and was an outstanding teacher of medicinal chemistry. 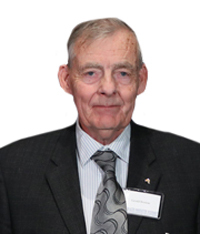 As a clinical anesthesiologist, researcher, professor and administrator, Dr. Gerry Bristow’s illustrious career spanned nearly 40 years. He held U of M leadership positions including director of the teaching hospitals internship program. He served terms as associate dean of postgraduate medical education and associate dean (academic) of medicine. His research generated 75 peer-reviewed publications and innumerable presentations on emergency medicine, pulmonary physiology and thermoregulation. 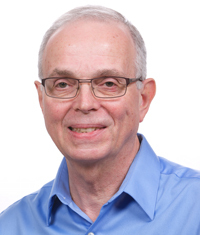 Bristow’s honours include a Distinguished Service Award from the Rady Faculty of Health Sciences in 2016. 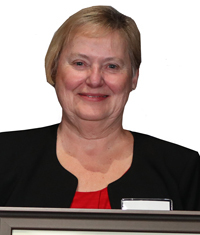 Dr. Maureen Heaman, an esteemed professor in the College of Nursing, has also been affiliated with the Children’s Hospital Research Institute of Manitoba. She is internationally recognized for research on maternal and child health, including studies of inequities in quality of care and access to care. Heaman published more than 110 articles. 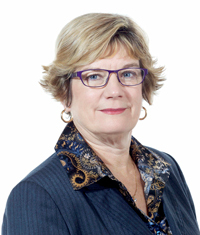 Her awards include a research chair in gender and health from the Canadian Institutes of Health Research and the Excellence in Leadership Award from the Canadian Association of Perinatal and Women’s Health Nurses. Throughout her 40-year career, Dr. Emily Etcheverry has been a champion for excellence in research, teaching and service. Under her leadership as director and dean, the School of Medical Rehabilitation became the College of Rehabilitation Sciences. Etcheverry led the development of new advanced programs in occupational therapy, physical therapy and respiratory therapy. She provided mentorship to department heads, encouraging a collegial, respectful and safe work and learning environment. Her commitment to collaboration was central to her leadership. Dr. Frank Plummer’s groundbreaking HIV/AIDS research has changed global public health policy. The distinguished professor of medical microbiology, internal medicine and community health sciences joined the faculty in 1984. 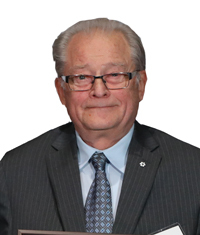 His leadership roles included director general of the Centre for Infectious Disease Prevention and Control in Ottawa and scientific director general of the National Microbiology Laboratory in Winnipeg. 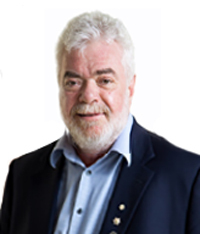 His honours include the Orders of Manitoba and Canada, the Scopus Award, the Killam Prize for medical research and the Gairdner Foundation Wightman Award. Dr. John Walker has had a profound impact on mental health services in Manitoba. The clinicianscientist established the first anxiety disorder clinic in Manitoba at St. Boniface Hospital. 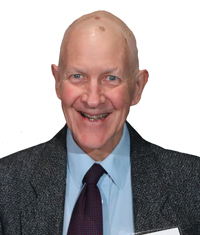 Walker, who joined the U of M nearly 40 years ago, authored or co-authored 150 articles and book chapters, a practitioner’s treatment guide and two books. He was recognized by the Canadian Mental Health Association with prestigious awards, and by the Canadian Psychological Association with the Award of Clinical Excellence in 2018.